AMRShow – 2018 Melodic Rock …and not only BEST RELEASES POLL! Odyssey Desperado – New super-project sign with Lion’s Pride Music…. Posted in: Music, New Releases, Newsfeed. Tagged: bob katsonis, desperado, Lionspride Music, manos fatsis, Melodic Hard Rock, Melodic Rock, Music, news, odyssey, odyssey desperado, paul laine. Odyssey Desperado is a melodic hard rock project started by Odysseas Karapolitis in 2014 in Athens, Greece. His dream was to share the music, the melodies and the ideas he had in his mind with other people. For achieving this goal he worked with the multi-talented producer Bob Katsionis (Outloud, Firewind ) at Sound Symmetry Studio, also recruited one of the best Greek voices in the genre Manos Fatsis on lead vocals, and the legendary Paul Laine (ex-Danger Danger) on backing vocals. Four years later, the result of this cooperation has brought in the surface the album “Don’t Miss The Sunset, which he signed and will be released on 30 March 2018 by Lions Pride music. Recorded at: Sound Symmetry Studio, Athens, Greece. AMRS – 2017 Top 20 AOR / Melodic Hard Rock (and not only) releases…. Posted in: AmadeuS Melodic Rock Shows, Music, New Releases. Tagged: Aor, Bonfire, Boulevard, Cats in Space, code red, Crazy Lixx, Creye, Iconic Eye, Lionheart, Melodic Rock, Midnite city, Moritz, Music, nocturnal rites, One Desire, panorama, Progressive Metal, Progressive Rock, Revlin project, Roulette, shadowman, stan bush, steve walsh, That Rock Guy, The NIght Flight Orchestra, Threshold, tony mills, Violet Janine, Wildness. After a long and rich year in releases presented on this page, AmadeuS Melodic Rock Show presents 2017 Top 20 AOR / Melodic Rock (and not only;) releases. HAPPY HOLIDAYS EVERYONE – KEEP ON ROCKIN. BOULEVARD: Headliners of ROCK TEMPLE FESTIVAL! Posted in: Music, New Releases, Newsfeed. Tagged: airbound, Aor, atomic stuff promotion, Boulevard, Burning Minds Music Group, legendclub, Melodic Rock, Mindfeels, Music, rock temple, Soul Seller. Rock Temple, the new international mail order dedicated to rock and metal music fans, in collaboration with Rocker Sound Agency & Burning Minds Music Group, is proud to announce the first official edition of its “Rock Temple Festival”, an event that promises to become a brilliant annual kermesse for all the passionate supporters of this kind of music. This edition coincides with the first official italian gig ever of one of the most beloved AOR bands… BOULEVARD! After two cult AOR releases in the late eighties, “BLVD” (1988) and “Into the Street” (1990), which gave them big exposure in their homecountry, Boulevard sadly dissolved in 1991, but finally reunited in 2014 starting to write new songs for their awaited studio come-back. The result is included in “Luminescence”, an unquestionable masterpiece of up to date melodic rock music, which is getting oustanding feedbacks from fans and critics, being already included in most of the “Top Album” lists of 2017. ALDARIA – New single out…. Posted in: Music, New Releases, Newsfeed. Tagged: aldaria, Heavy Metal, Metal, Music, news, power metal. ALDARIA released a new single track called “When The Time Has Come”. 100% of all income of this single will be donated to Cancer Research. Posted in: Music, New Releases, Newsfeed. Tagged: ludvig turner, marcus johansson, Melodic Hard Rock, Melodic Rock, Music, news, Reach, soufian ma aoui, the great divine. The new material consists of 10 songs written by Ludvig Turner ranging from the modern up-tempo “Running on Empty” to the spooky “Nightmare“, the moody “River Deep“, the catchy “One Life” and the straight forward hard rock tune “Into Tomorrow” that sets the opening for the album. LEBROCK – New single out…. Posted in: Music, New Releases, Newsfeed. Tagged: Aor, electro, electronic, Lebrock, Music, newretrowave, news, retrowave, synthpop, synthwave. LEBROCK released a brand new single called “Please don’t cry” and you can listen to it HERE…..
ROULETTE (SWE) – New videoclip out…. Posted in: Music, New Releases, Newsfeed. Tagged: Aor, Melodic Rock, Music, Roulette, roulette (swe). As we wait for the new full length record to come up, swedish AORsters ROULETTE have released a brand new videoclip for their single “The Only Way“. VOLSTER – New deal & New album announced…. Posted in: Music, New Releases, Newsfeed. Tagged: henrik lundberg, Melodic Hard Rock, Melodic Rock, Music, Perfect storm, rock of angels record, volster. VOLSTER is a Swedish hard rock band started by guitarist Ulf Andersson and bass player Henrik Lundberg who were both members of the band Masquerade in the late 80s and early 90s. While Ulf left Masquerade for other projects, Henrik continued making a couple of albums with Masquerade before they broke up. In 2009 Henrik released an album with the band House of Heavy. Ulf and Henrik met up again in 1996 to record a four song demo. This demo was called VOLSTER and in 2013 (17 years later) they decided to pick up where they left off and plans were made to start a band performing these songs and also write new ones. They kept the name VOLSTER. Posted in: AmadeuS Melodic Rock Shows, Live Events, Music, Newsfeed. Tagged: a melodic rock night, Art Of Melody Music, Atomic Stuff, atomic stuff promotion, Danger Zone, Hungryheart, michael kratz, Mindfeels, Music, rock of ages radio show, Soul Seller, Tanzan Music, wheels of fire. Melodicrock.it, in collaboration with Burning Minds Music Group & Rock Temple, the new italian mail order dedicated to all the rock / metal music fans, is proud to announce the second official edition of “A Melodic Rock Night”! Organized by popular demand after the success of the first edition, “A Melodic Rock Night 2” will take place @ Dedolor Music Headquarters – Rovellasca (CO – ITALY). Italian melodic rock artists will represent once again the real event of the show, with three acts from the first edition of the festival (Hungryheart, Soul Seller & Wheels Of Fire) ready to offer a special acoustic set balanced on some of the best tracks taken from their discographies. Talking instead about the electric side of the show, we are proud to announce that veteran italian hard-rockers Danger Zone will perform presenting a setlist of songs taken from all their studio albums, including the last critical acclaimed “Closer To Heaven”.As per tradition “A Melodic Rock Night” will offer once again an exclusive event, so we are glad to present the first italian gig of danish artist Michael Kratz (recently signed by Art Of Melody Music), who will play songs taken from his forthcoming new album “Live Your Life”, a wonderful piece of art of classic AOR / Westcoast music, with legendary guest musicians involved in the line-up of the album (all details will be unveiled shortly). Michael Kratz will be expertly backed, for this special night, by italian newcomers Mindfeels, who recently proved their unquestionable skills thanks to their debut album “XXenty” (Art Of Melody Music), which they will present on-stage with two selected tracks performed during the show. But it’s not all folks! The second edition of “A Melodic Rock Night” will coincide with the official release party of Michael Kratz‘s new album “Live Your Life”, that will be available for purchasing exclusively at the venue one week before of the official release date. News, updates and info concerning tickets, running orders and more will follow shortly. Stay tuned for very welcome updates regarding exclusive rewards and special discounts for all the tickets owners! We would like to thank our official partners Sound Trek Distributions, Tanzan Music, Rock Of Ages radio show @ Radio City Trieste, Linea Rock radio show @ Radio Lombardia, Roxx Zone, Hardsounds.it, Moviedel Productions, PriStudio, W Studio Design, Atomic Stuff Studio & Atomic Stuff Promotion for the precious collaboration! PANORAMA – Releases new lyricVid…..
Posted in: Music, New Releases, Newsfeed. Tagged: dennis ward, hard rock, Melodic Rock, Music, news, panorama, rock of angels record. Boulevard – New clip out …. Posted in: Music, New Releases, Newsfeed. 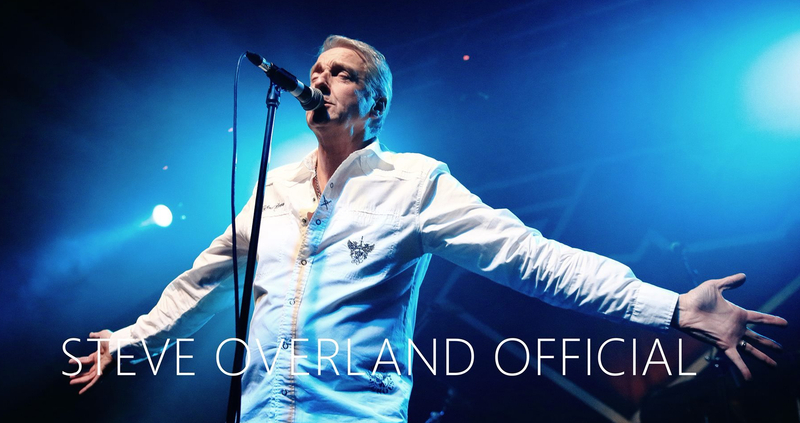 Tagged: Aor, Boulevard, David Forbes, Luminescence, Melodic Rock, Melodic Rock Records, Music. RANDOM EYES – New album in Jan.2018…. Posted in: Music, New Releases. Tagged: christian palin, grieve no more, Heavy Metal, Random eyes. Finnish metal band, RANDOM EYES, will release their fourth album ‘Grieve No More‘ on January 19, 2018 via Rock’N’Growl Records. The album includes 10 tracks and was produced by Christian Palin (Panorama, ex-Adagio) and mixed/mastered by Angelo Buccolieri. RANDOM EYES is singer/songwriter Christian Palin on vocals (Panorama, ex-Adagio) and Markus Grimald on guitars, plus studio musicians. Posted in: Music, New Releases, Newsfeed. Tagged: Heavy Metal, Music, savage machine, troels rasmussen. Danish old school heavy metal band, SAVAGE MACHINE, will release their first full-lenght album ‘Abandon Earth‘ on January 19, 2018. The album is produced, mixed and mastered Tommy Hansen (Helloween, Jorn, Pretty Maids) at Jailhouse Studios. After a long time dormant, Savage Machine is armed, recharged and ready to resume their heavy metal crusade. The result is an ambitious full-length album with battering, yet playful riffs, powerful vocals and a rock-solid rhythm squad whose only purpose is to convert your heathen soul to that of a true headbanger. “Abandon Earth” takes you into the grim future of post-apocalyptic despair, where the war between man and machine rages. Earth Is dead and the last remaining resource’s are spent. The only salvation of mankind lies in the heavens but, who gets to go? Who deserves to go? And is there really anything other than darkness out there? Savage Machine, from Denmark, is honoring a proud lineage of Heavy Metal kings with a modern twist. Ambitiously, The machine delivers savage riffs, thundering drums and galloping bass over the grandiose vocals of pure metal thunder. Having existed since 2010, Savage Machine has been a big part of the danish underground scene for several years before emerging onto the international stage in 2015’s Wacken Open Air. In the past year, Savage Machine recorded a hard-hitting debut album and toured across Europe with Spain’s ”Lords of Black”. Magnum – New lyric video out…. Posted in: Music, New Releases, Newsfeed. Tagged: bob catley, lost on the road to eternity, Magnum, Melodic Rock, Music, steamhammer, without love. Posted in: Music, New Releases, Newsfeed. Tagged: Art Nation, Christoffer Borg, Felix Borg, Music, taste. “We are back” is a catchy and powerful song with melodies which will stick to your head from the first listen. From the wall of guitars to the drum machine like drums, Taste are not only back, They are here to stay. Borg brothers wrote and produced the song together. “We are Back” single is recorded and mixed by Christoffer Borg (Evergrey, Art Nation, Kee Marcello) at Top Floor Studios,Gothenburg. The single will be available on all digital platforms on January 5th. VISIONS OF ATLANTIS – New ALBUM DETAILS Revealed & Premiere First Video! Posted in: Music, New Releases, Newsfeed. Tagged: Clementine Delauney, melodic metal, Music, return to lemuria, Siegfried samer, symphonic metal, symphonic rock, the deep & the dark, Visions of Atlantis. Symphonic metal masters VISIONS OF ATLANTIS once more set sail to oceanic myths and the eternal dream of the sunken continent! Titled ‘The Deep & The Dark‘ and set for a release on February 16th 2018on Napalm Records, with their upcoming seventh studio album VISIONS OF ATLANTIS showcase all musical facettes of the genre with a breathtaking classic Symphonic Metal album. Now the band fronted by the fascinating voice of Clémentine Delauney unveiled their album artwork and track list for ‘The Deep & The Dark‘! Coming as exclusive Deluxe Box Set, CD Digipak and Digital Download editions, ‘The Deep & The Dark‘ is now available to pre-order HERE! Hauntingly beautiful duets between vocalists supreme Clémentine Delauney and Siegfried Samer meet classic power metal infusions, embodying the symphonic metal cake: A must-have for all genre-fans and beyond! To get a first taste of VISIONS OF ATLANTIS‘ upcoming album, the band premieres the scenic video for the track ‘Return To Lemuria‘! Posted in: Music. Tagged: alain concepcion, Izkar Productions, life songs, Music, Rock. Spanish melodic rock singer Alain Concepción presents his new project “Life Songs”, a live and living album, recorded in a single take with audience in a night at which 70s soul classics met the trio’s highly emotive compositions. “Life Songs” is a unique experience which was also filmed for everyone’s enjoyment in a very special way. Therefore, the CD edition will include a DVD featuring part of that magic show. Posted in: Music, New Releases, Newsfeed. Tagged: Atomic Stuff, Burning Minds Music Group, hard rock, Melodic Rock, Music, Sleaze, sneakout records, stefano gottardi, stray bullets. Sneakout Records is glad to announce the signing of Italian hard rockers Stray Bullets for the release of their debut album. Their story begins back in 2007, when this hard rock combo coming from Verona (north of Italy) started to write the first songs together, in order to move their first steps for the making of their first studio album. It took three years to record and self-release “Lost Soul Town”, a demo/album with ten tracks entirely played and recorded by the band as a home-made recording. In the following years, Stray Bullets faced a series of line-up changes, which accidentally led them to focus their proposal on a more sleaze oriented rock style. In the summer of 2015, after the meeting with Oscar Burato and Stefano Gottardi of Burning Minds Music Group, Stray Bullets took the decision of putting the basis for a collaboration together, in order to improve the quality of their proposal. The band entered the doors of Atomic Stuff Studio under the artistic guidance of Oscar himself, finalizing (with the line-up composed by vocalist Alex Chinaski, guitar-players Steven Evil and Nick, bass-player Dave Dufford and drummer Zen) the eleven tracks of “Shut Up”, which includes most of the songs taken from “Lost Soul Town”, now re-written and re-arranged according to the soul and style of the new line-up. A new band, a new album, and a new adventure: Stray Bullets are ready to rock the world with the energy captured in their debut “Shut Up”. Posted in: Music, New Releases, Newsfeed. Tagged: blood red saints, lee revill, love hate conspiracies, Melodic Rock, Music, pete godfrey, Rock. Mixing and production was handled by Simon Humphrey who has worked with some of the biggest acts in music over many years and his input was invaluable in producing this record. Love Hate Conspiracies can be heard soon enough, with a release date for 26th January 2018 on the AOR heaven label. Pete Godfrey leaves us on this note. Catch BRS out and about throughout the year with HRH in North Wales in March and more shows to be announced soon. Check them out on Facebook too. Posted in: Music, New Releases, Newsfeed. Tagged: aor heaven, maurtz petersson, Melodic Rock, Music, pal, Peo, Peo Patterson, Peo Pettersson, peter andersson, Pride and joy music, roger ljunggren. PAL is a Swedish musical collaboration between guitarist Roger Ljunggren and Peter Andersson and Peo Pettersson. Roger and Peter, longtime friends, started writing and play music together way back. They first got to know each other in the early eighties. Growing up in Skara, a small town in the southwest of Sweden sharing a passion for music and specially song-writing the sweat out together in a small rehearsal studio together with some other local musicians. The group started in 1987 when a demo was recorded in Peo’s studio Vanäs for a band called Escape which at that moment was short of a singer and Peo helped out. Now, thirty years later the three musicians are making music together again. The songs on the debut album “Prime” are a collaboration between the three – where Roger wrote the music and recorded the guitars and solos and Peter arranged, produced and played the bass. Peo then added the vocals. Mauritz Petersson was hired to do the drums. You can surely hear vintage elements in their music , but this time with a more modern approach and passion for the music they all grew up with. 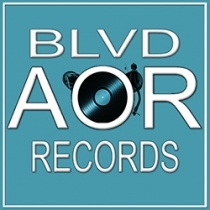 The first label that was invited to listen to the material was AOR Heaven in Germany. A record deal was signed with them shortly after. Release of the debut album “Prime” is scheduled in Europe January 2018. Dark Horizon’s members join new symphonic metal band Clockwork…. NTH ASCENSION – New Album in May…. RAIN or SHINE – NEW DEAL, NEW ALBUM coming up &NEW Single out…. DeVicious – 2nd album out in March…. This corner belongs to all the artists, bands and labels who provide their promo material to the show. Feel free to click on the images and visit their sites. A huge THANK YOU for keeping the music alive.